-- When the power goes out it doesn't take long for the walking dead to go from CNN to Paul’s front door. 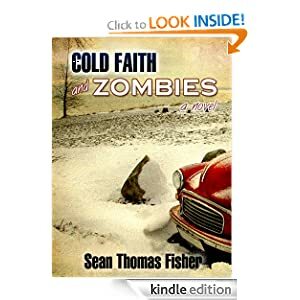 With his wife, Sophia, and trusty friend, Dan, at his side Paul gets them guns, a siphon-kit and a plan to head south, because if the rotting corpses don’t get them, the freezing Iowa temps will. Overnight, Paul goes from the unemployment line to the front line in a battle against darkness. However, his swelling confidence quickly propels them towards tragedy, putting his faith to the ultimate test while the fate of others hangs in the balance. Have you checked out the all-new Kindle Fire HD yet? 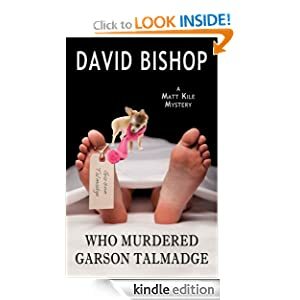 -- Matt Kile, ex-cop and ex-con, current smart-aleck, and a neighbor of Mr. and Mrs. Talmadge has built himself a comfortable career writing mysteries. Garson Talmadge sold weapons to Saddam Hussein, then moved out of France, came to America and married Clarice, a woman half his age. When Clarice is arrested for murdering her husband, Matt becomes the investigator for her defense attorney, and quickly learns there is a line of suspects stretching from the U.S. into Europe and the Middle East. Not long after getting involved in the case Matt learns that Garson Talmadge’s weapons deals meant the FBI had an interest as well as the French Prefecture of Police. While Matt is simply trying to establish that Clarice is innocent, the FBI is trying to learn how Hussein got some of his weaponry, and powerful members of the French government and armaments industry wants to keep Matt from following the trail far enough to expose them. 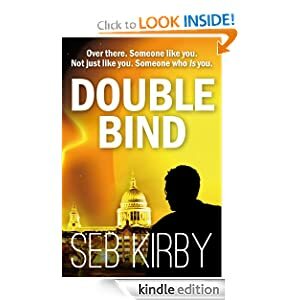 -- In Double Bind, successful writer Raymond Bridges must unravel a mystery that goes to the heart of his being and face apparently irresolvable doubts about his identity. It's a thrilling journey that leads him to question so much of what he finds in the world around him - even the loyalty of those he knows and loves. -- Airline Captain Frank Braden is being stalked by unknown assailants who must arrange his death to look like a suicide or an accident before a specific deadline. He receives an unsigned message warning him against attending a Senate hearing in Washington. If he agrees, he will receive a million dollars and his wife's life. 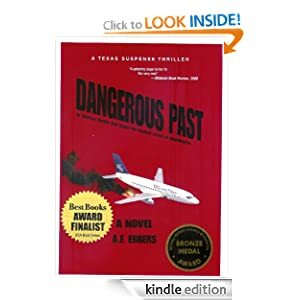 DANGEROUS PAST is a story of a man who must choose between doing what ought to be done or keeping his family alive by allowing a murderous and powerful Washington VIP to escape his past. -- "Where on Earth Am 1?" 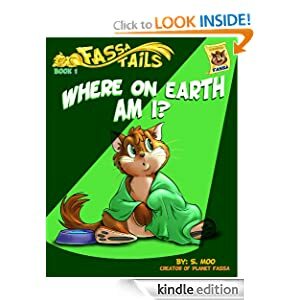 is the 1st of 7 stories in The Fassa Tails series, where you and your kids follow Fassa as he uses his fabulous imagination to meet his best friends and learn valuable life lessons along the way. Even better? Once you read each story, you can log on to planetfassa.com for FREE access to fun activities, coloring pages, conversations starters, quizzes, and more that reinforce the life lesson in each story. A fun story for kids that follows a determined cat - Fassa - who learns the valuable life lesson: Purrrrsistence Pays Off! Fassa wakes up in a strange place feeling dizzy, where on Earth is he? Fassa has to use his five feline senses to figure out where he is and just how he got there. He draws determination from his past adventures and desire to see his lost friend, the pink-nosed cat. When he realizes he is in a cage, Fassa becomes afraid and braces himself for a fight for survival. To his pleasant surprise, Fassa has been found by nice humans and is introduced to his Person. As he cuddles into her welcoming arms, he thinks to himself: My purrrsistence has paid off! 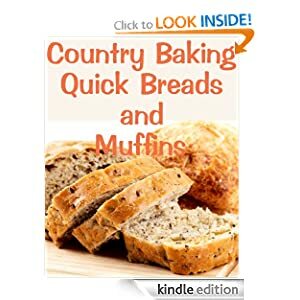 -- Quick Breads can be made in minutes, since they do not require the prolonged kneading and lengthy rising and proofing. Instead of yeast, these breads are made with rising agent such as baking powder or baking soda that begins to release gas bubbles the moment it is moistened. When making quick breads, it is important to blend the wet ingredients separately and combine then just before baking. Swift, gently mixing is essential because if the batter is beaten too vigorously, the gluten in the flour will strengthen the mixture and the texture of the loaf or muffins will be tough. Also added some of our favorite coffee cake recipes, perfect with morning coffee, snacks or desserts. NOTE - Before purchasing Free Kindle Books, make sure that it is in fact still free. Though free at time of posting, prices may change at any time. Be sure to verify that the “Kindle Price” is still $0.00, before purchasing. If you do happen to buy a book that you thought was free, you can return the book within 7 days for a full refund. NOTE: Due to international copyrights, not all titles will be free outside the United States. A UK Kindle book option may not always be available.